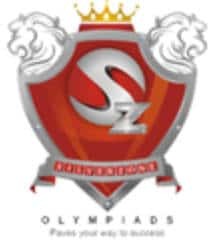 International Olympiad of Science (iOS’ 17) is organised annually by Silver Zone Foundation in association with Mathematic Olympiad Foundation. Students from class 1 to 12 can participate in it and the examination will be based on the CBSE/ICSE and State Board syllabus of the respective class. The registration process will be carried out by the School for the students interested in participating in International Olympiad of Science (iOS’ 17). First 2 levels of the Olympiad examination will be conducted in the school itself. Registration: Students will be registered through the school only. All candidates participating in the iOS’16 will be provided with Student Participation Certificate with their Class/Olympiad/Rank mentioned on them. A Winner Trophy and Cash prize of Rs.51,000 will be given to the candidates scoring the First rank in class 11 & a Winner Trophy and Cash prize of Rs.1,00,000 will be given to the candidates scoring the first rank in class 12. A TAB along with Winner’s Trophy will be given to the students of class 1 to 10 scoring the first rank. A Digicam along with a Winner’s Trophy will be given to the candidates who scored Second Rank in the Olympiad Examination. Level 3: An Educational trip to NASA will be offered to Top 2 rank scoring students in the third level of Olympiad Examination. The registration of the students will be done by their respective schools and the level 1 and 2 of the examination will be conducted in the school. The registration process will start from the 1 April 2017. The details of International Olympiad of Science (iOS’17) application Process are given below. The applications will be made offline and need to be done by the schools. Individual applications will not be entertained for iOS’17. There are two dates decided for the exam which is 15 November 2017 and 6 December 2017. The schools are required to select the date of exam according to their suitability. The candidates have to pay the participation fee in order to participate in the iOS’17. The payment will be done either by Demand Draft or by account transfer. 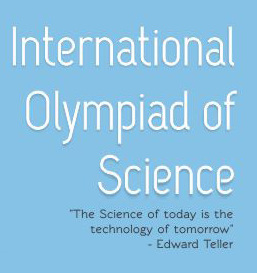 The Science Olympiad Examination will be conducted at three different levels and the top scorers from each level will advance to the next level. The Olympiad is scheduled for the two dates i.e 15 November 2017 and 6 December 2017. Any one of the following mentioned methods can be adopted by the schools in order to make the payment for the examination. For Schools in India: From the participation fee given below, Rs 20 shall be retained by the school against its expenses towards honorarium of the invigilator and other expenses like postal expenses, DD charges and photocopying, etc. The cost of study material is not included in the fee. For Schools Outside India: From the participation fee given below, USD$2 shall be retained by the school against its expenses towards honorarium of the invigilator and other expenses like postal expenses, DD charges and photocopying, etc. The cost of study material is not included in the fee. Level 1 Examination will be conducted in respective schools on 15 November 2017 and 6 December 2017. The Examination is open to all students who want to appear in the examination. Students scoring top 500 ranks will be eligible to take part in Level 2 of the Olympiad examination. The examination will be conducted in the month of January/February 2018. The Level 3 of Olympiad Examination will be conducted in New Delhi and will be organised in July/ August 2018.